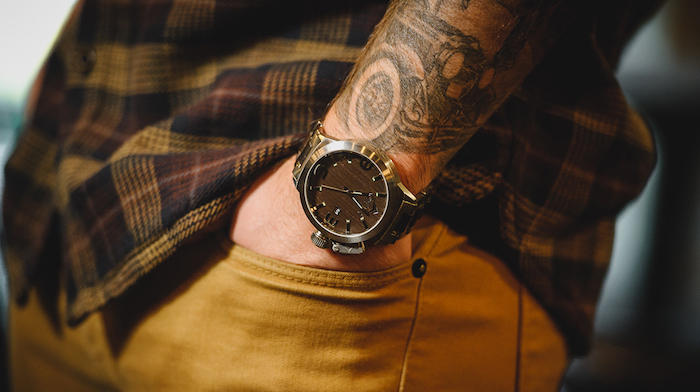 With years of experimenting with various style patterns and designs, Konifer was born in 2012 in Canada and since then has been creating exclusive timepieces with unique designs. Taking a bit from the retro watch style patterns, most of the Konifer Watches features a wooden made dial around which is the solid stainless steel rim on the outer edge. This unique blend of wooden and steel patterns gives an altogether a completely stylish and elegant look to its watches, something which your eyes cannot afford to miss! Their commitment to produce unique and out-of-the-box designs has helped the company to make a mark in the watch industry and set an altogether different style statement. May it be any occasion or any outfit you are wearing, Konifer will offer you multiple options that complements and grace each and every moment of your life. This is probably one of the only companies in watch making that uses this unique blend of wood and stainless steel and comes with incredible designs of all sorts ensuring that the aesthetics of the watch remain un-compromised at any stage. Also, the great thing about Konifer Watches is that it is made with 100% eco-friendly natural hardwood with completely non-toxic finish. The company takes immense pride in creating this beautiful wooden time-pieces reflecting the company’s tradition, originality and integrity. The company brags about the unique services it offers to its customers and stay very confident to never leave its customers unsatisfied from the Konifer watch buying experience. Any kind of query or doubt you have, their service team will always be their to help you assist and find a solution to the situation. In a way, you will be having a great watch buying experience in all. Konifer ships its watches world-wide to various other locations. Just grace your wrists with some of the finest timekeeping pieces from Konifer.